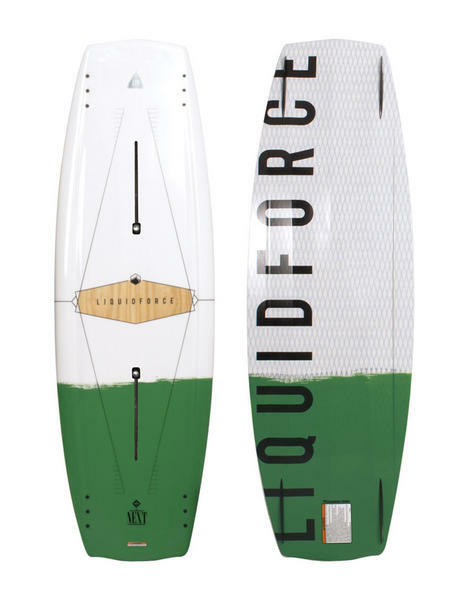 If you’re looking for speed and quickness in a boat board you’re going to love the fiesty pop and responsiveness that the Liquid Force NEXT board brings to the lake! The innovative ash veneer/PU core removes weight and keeps the board extra lively. The Vector Net weave adds a layer of unmatched torsional strength which allows the rider to stay firmly in control of the board when charging off any sized wake. The FlexTrack to make sure your connection to the board is greater than ever, which translates to even more control and better feel. If you’re serious about behind the boat riding and want the most aggressive ride possible, this should be your NEXT ride!